In the 1890s the Canadian government analyzed numerous food and beverage products for adulteration, this in the wake of then-new consumer legislation. Beer, butter, coffee, tea, were some of the substances analyzed in government labs – and whiskey. The analyses are very useful. Canadian whisky was not found to contain harmful substances. Sugar, and glycerine (for body) were sometimes found, but in small amounts, nothing that should cause concern. The alcohol levels – both “draught” (in barrel) and “case” goods (bottled) – were sometimes found too low, under 40% abv often. This was a situation which attended many alcoholic drinks back then and arose usually from duplicitous retail practices. The most interesting finding was that almost all Canadian “rye”, sometimes called “old rye”, showed no “opalescence” when diluted with water. This was a test used to detect the presence of congeners or secondary chemical constituents, in a word the fusel oils characteristic of spirit distilled at a low proof traditionally in a pot still vs. neutral spirit from the newer patent stills. One product showed slight opalescence and was thought therefore to be a blend of traditional whisky and neutral spirit. In one of the assays (there were several for a few years), “old rye” from Seagram showed considerable genuine whisky character under this test, which makes sense judging by the name: straight rye was surely the original type, made in western Pennsylvania and New York before Ontario was settled, and adopted in Canada. Straight rye was “the” U.S. straight whisky before bourbon overtook it later in the 1800s. In addition to other period evidence, this suggests that a lot of Canadian whisky by the late-1800s was aged neutral spirit and if it contained any flavouring whisky, it was a very small amount. Different qualities were probably produced following the emerging Scots practice, as Usher, John Walker, Teacher and others there were evolving blending in a way that would have been noticed in Canada. The links to Britain were still strong before WW I. By this time, corn (maize) was the main grain used in Canadian whisky production. Before 1850, other grains were used, notably rye, wheat, oats, and barley malt. The term old rye must derive from that earlier time when, before the column or patent still was in general use, spirits were made on Scots or Irish lines – or akin to how Dutch geneva gin was made which is rye-based. Note in the table linked above how well Dutch genever scored for pot still character. Before 1850, some, not all of Canada’s pot still production was from a mixed mash: wheat, barley, oats, rye. The strong taste of rye as against corn and wheat might have impelled distillers to call their product “rye” too. Bourbon today which has a high rye content, e.g., Old Gran-dad, has an evident rye taste for example. In the 1890s, the whiskeys produced in Canada were the new patent still form of rye, “bourbon” (perhaps aged in new charred barrels but judging by the analyses mentioned, typically from neutral spirits too), Scotch and Irish whiskies, which were barley-based, and white wheat whisky, which was similar to today’s vodka. There were no appellation rules then or sophisticated trade accords to protect distinctive national products, all this came later. At some point, by the 1890s or a little later – perhaps as a spin-off of the “what is whisky” controversies in Edwardian Britain and Teddy Roosevelt’s America – Canadian distillers perfected the blending of whisky which relied on a little straight whiskey being added to aged neutral spirit to bump up the flavour. Straight rye was generally used for the straight element, but not invariably. 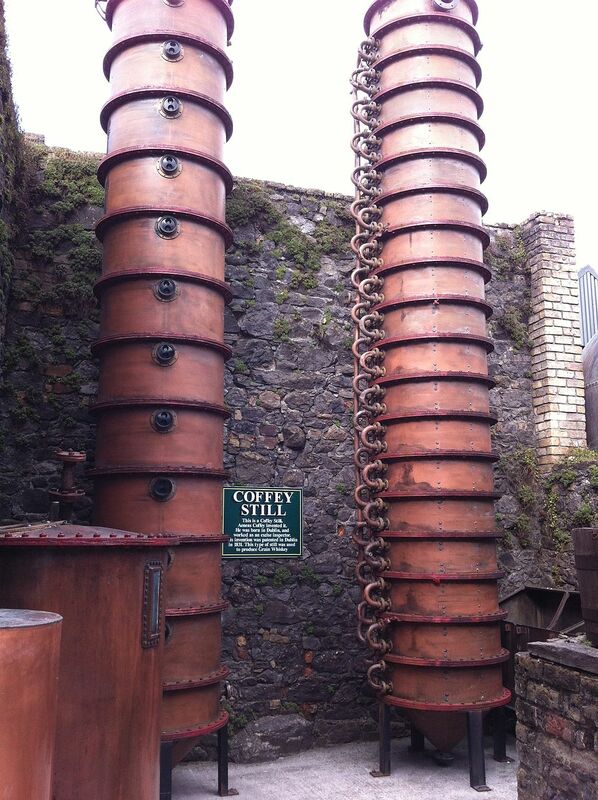 Some distillers used a bourbon, Scotch, or Irish-type whiskey. Rum could be used too, or brandy. Setting aside the new crop of releases I discussed yesterday, it is evident that Canadian whisky, post-Hiram Walker, post-Jos. Seagram and the other distilling pioneers, was a mild-tasting drink. That is its nature, and it has achieved wide consumer acceptance, at least up to now. To produce a clean mild alcoholic drink in the 1890s was a feat of technology. “Heavy” spirits – distilled under 160 proof or 80% abv – had an unpleasant chemical taste from the oily congeners unless aged six years and more. Buy a three year old Kentucky bourbon, not to mention the white dog, or unaged straight whiskey, being sold today by craft distillers, to see the challenging taste involved. What Hiram Walker and his peers introduced, plain Jane as it may seem to some of us, was applauded by all except a few hold-outs in Kentucky, Tennessee, Pennsylvania, the Scottish Highlands and the hollows of green Ireland. I’d like to include the ravines of Toronto and port towns of Lake Ontario in that, but I can’t. Note re image: the image of an Irish column still is by HighKing (Own work) [CC BY-SA 3.0 (http://creativecommons.org/licenses/by-sa/3.0)], via Wikimedia Commons. It was sourced here. Believed available for educational or historical purposes. All feedback welcomed.